Machhermo Peak (6272m) is one of the most interesting peak climbing in Nepal, situated at Mahalangur region in Everest. 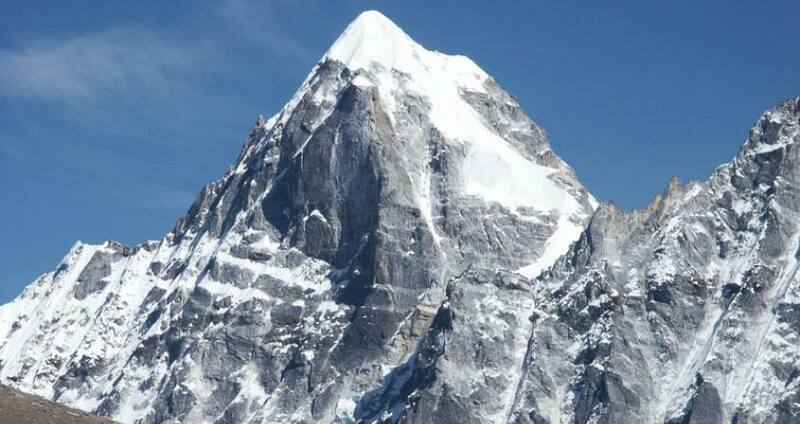 Machharmo Peak is a perfect peak to start your mountain climbing in Nepal. Machhermo peak base camp trail leads through Yak pasture, on the way to Gokyo trek. The base camp is set up above the rocky meadows and moraine around 5140 meter. Further climb ascends on the rock and snow slopes to reach the top. The same path descends to base camp. Climbing Machhermo peak summit provides stunning views of Amadablam, Lhotse Shar, Nuptse, Lhotse and Everest. If Trekking and Climbing to Machermo Peak itinerary create by Pink Mountain Treks and Expedition is not suit for you, please write us for the best customized climbing itinerary. Day 04:Trek to Namche Bazaar. Day 19:Fly out. Pink Mountain Treks and Expedition's representative will drop you at airport before Three hours of your flight schedule. Day 3Kathmandu to Phakding Early morning fly to Lukla (2850m) and trek to Phakding (2640m). Day 4Trek to Namche Bazaar. Day 18Fly to Kathmandu and check into hotelYou can extend your trip in Nepal to explore the Jungle safari in Chitwan National park or Buddhist Pilgrimage trip to Lumbini, Birthland of Buddha or other part of Nepal's Trip or Can take your Flight to your destination. Day 19Fly out. Pink Mountain Treks and Expedition's representative will drop you at airport before Three hours of your flight schedule.